Immediately following Botham Jean's funeral a short press conference was held in which his pastor, Dallas West Church of Christ Minister Sammie Berry, spoke as he stood beside the Jean family. Berry said that although the family was appreciative of demonstrations and protests, "they ask that all citizens honour Bo's legacy by not engaging in any acts or threats of violence. We understand the emotions and tensions are justifiably high, but on behalf of the family, we ask that please, everyone, honour the Jean family to this end. In closing, we the family and the Dallas area Church of Christ leaders implore the District Attorney's office and the investigating agencies to ensure that they are left standing on the right side of history when this matter comes to an end." Religious leaders from the Dallas area say they are outraged and saddened by the death of a 26-year-old man killed in his apartment by an off-duty police officer last week. A group of Dallas-area church leaders gathered for a press conference Thursday afternoon immediately following the funeral of Botham Jean, who was shot and killed by off-duty officer Amber Guyger last week. She has been arrested for manslaughter and is out of jail on bond. Sammie Berry, an elder and pulpit minister at Jean's church, says the family cannot rest until justice is served and Guyger is punished "to the fullest extent of the law." He described Jean's death as an avoidable tragedy and said the group wants to know why Guyger has not been fired. 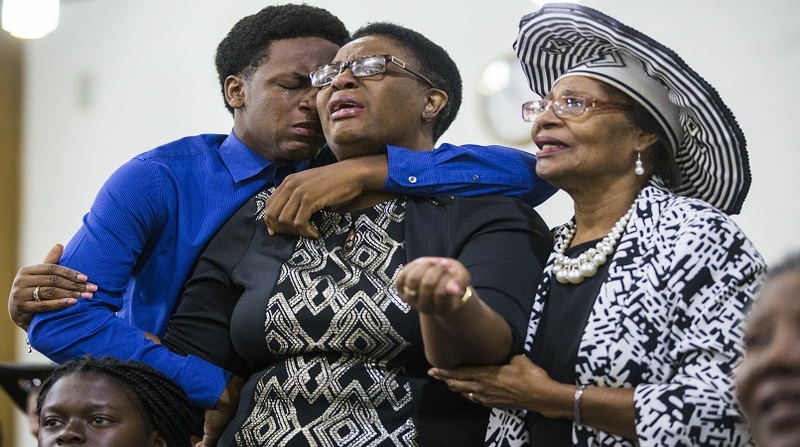 Mourners console each other during the public viewing before the funeral of Botham Shem Jean at the Greenville Avenue Church of Christ on Thursday, September 13, 2018 in Richardson, Texas. The uncle of a 26-year-old man killed in his apartment by a Dallas police officer who said she mistook his apartment for her own says that word of his death was like "a nuke" being unleashed on their family. 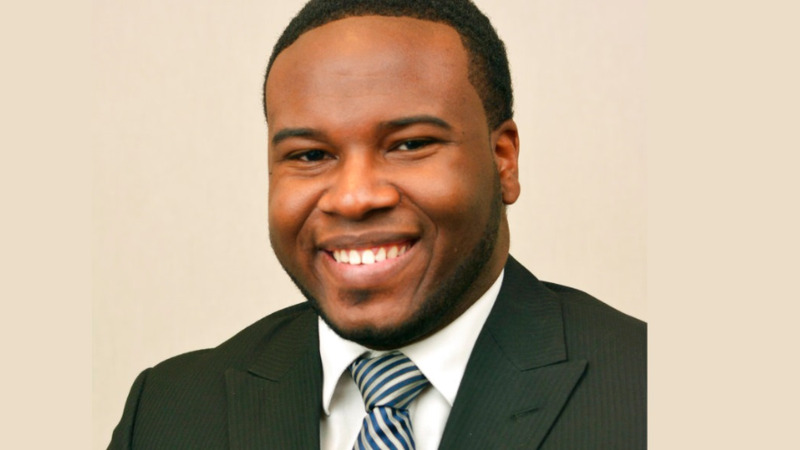 Botham Jean's uncle, Ignatius Jean, said at the Thursday funeral, "Our prince royal was snatched from us by the quick-to-trigger finger of one trained to protect and serve." He also said his nephew told him he would like to enter politics one day, maybe even becoming prime minister of his home country of St. Lucia. 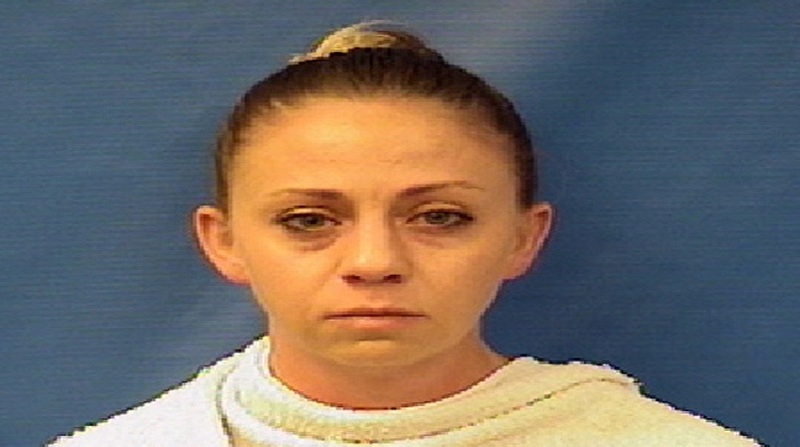 Off-duty police officer Amber Guyger has been charged with manslaughter and has since been released on bond. Others speaking at the funeral talked about Botham Jean's willingness to always help anyone and the devout Christian's love of singing. The funeral has begun for a 26-year-old man killed in his apartment by a Dallas police officer who said she mistook his apartment for her own. 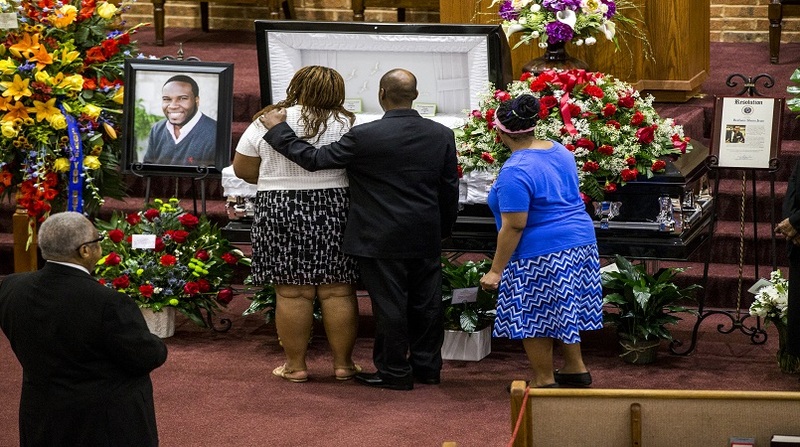 There were packed pews at a suburban Dallas church for the funeral for Botham Jean. He was killed last week by an off-duty police officer, Amber Guyger, who says she was returning from work when the shooting occurred. She is charged with manslaughter and has since been released on bond. Dallas mayor Mike Rawlings and Dallas Police Chief U. Renee Hall are in attendance at the funeral. 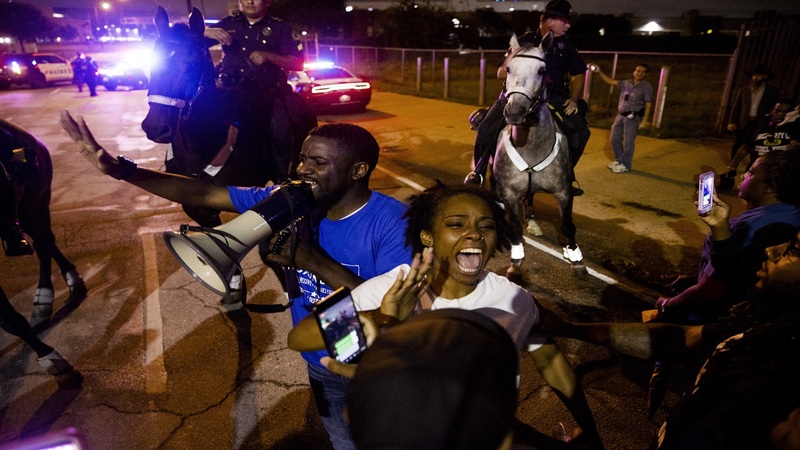 Jean's death has since become a flashpoint in the national debate over police killings of black men. Following his death, friends and family remembered Jean as a talented singer and devout Christian."